Pressurisation sets are available for heating and chilled water systems. 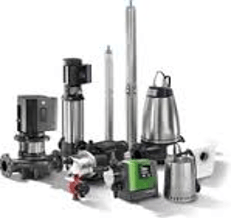 They are supplied in single or twin pump configurations, base mounted or cabinet enclosed with a variety of control options, and with expansion vessels ranging in capacity from 20 to 1000 litres. Please browse our products and applications pages to review our full product ranges, along with their predominant uses. If you do not see the product to suit your project, contact us directly on 023 9226 8511 or email [email protected], where a member of our technical team will assist you with your requirements.